PowerTrack is a vehicle display controller based on CAN-bus protocol. 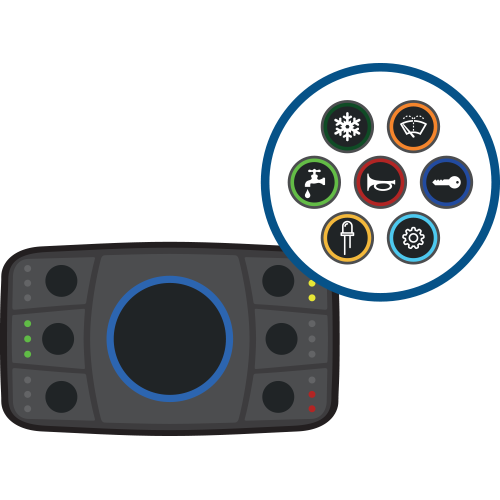 The keypad and its rotary encoder were both designed by Blink Marine as a natural evolution of the PowerKey 1000 CAN, from which it has inherited the same attractive and compact visual design. 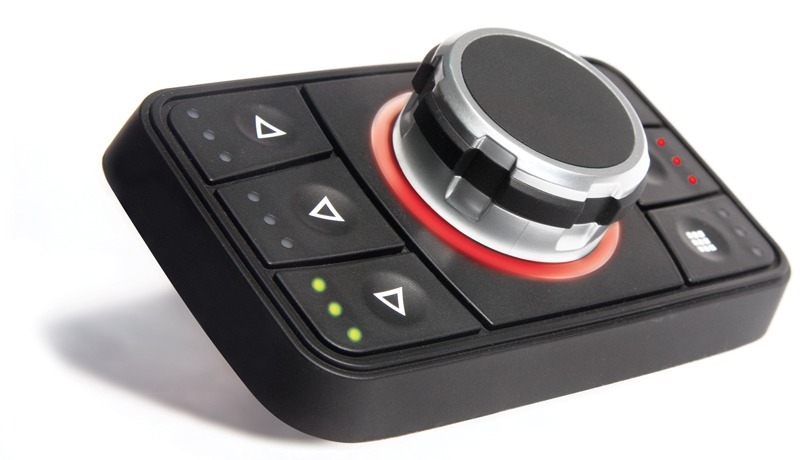 PowerTrack was designed to guarantee a comfortable grip in any given situation thanks to a rubber insert that wraps all the way around the knob. 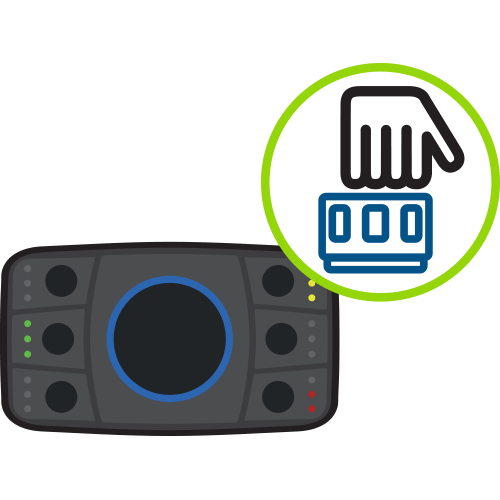 Together with the six quick-pick keys, the addition of a rotary pushbutton knob makes it possible to manage complex scroll functions on the display. 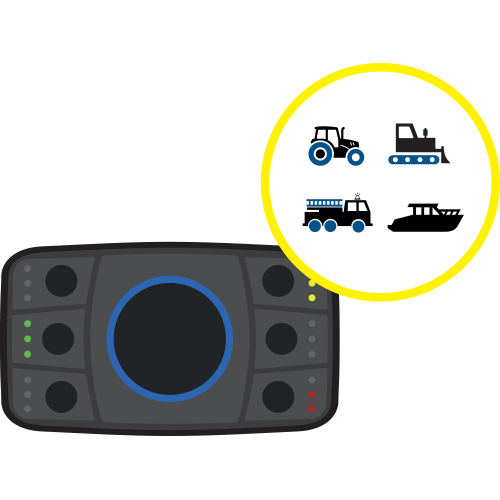 Fully compliant with Device Profile 401d, PowerTrack can interface with onboard systems thanks to CANbus protocols. PowerTrack boasts numerous personalization options, thanks in part to the flexible management of multicolor LEDs. The intensity of the LEDs can be adjusted, whilst any LED indicator – whether fixed or blinking – can be personalized according to color preference. Backlighting for the keypad is also adjustable.